Etsy Store Launch! | Averie Lane: Etsy Store Launch! I am so excited to announce the launch of mine and my sister's Etsy store! Our shop is named after my two angels in heaven, Averie & Lane, who passed away from complications due to their mitochondrial disorder. We will be donating a portion of our sales to the United Mitochondrial Disease Foundation to help find a cure for mitochondrial disease! 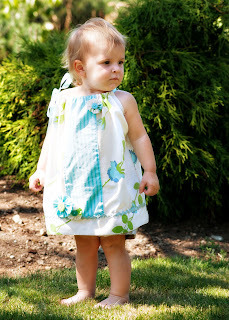 My sister is selling her beautiful children's dresses made from vintage pillowcases & linens. She has several ready to ship items available right now!! Also our shop will soon be featuring my ready to ship and custom hand painted signs made from reclaimed wood. So exciting!! Use coupon code GRANDOPEN for 20% off thru Monday! !